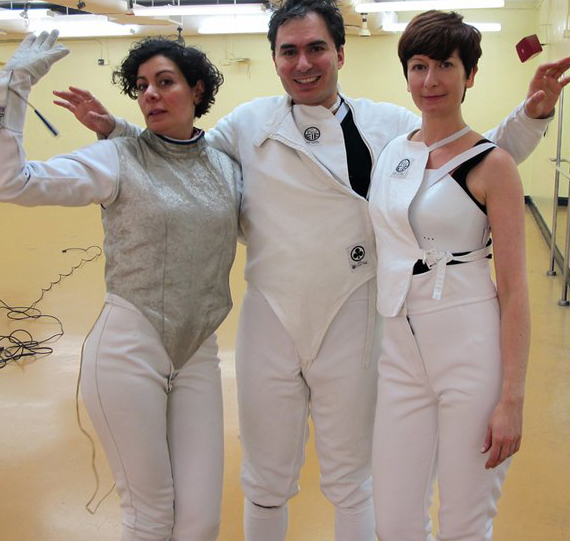 Last call for those who'd like to join our 12 strong group going to Athens to visit the fencing section of Panellinious club. The dates of the trip are 5-8 May, all weapons and levels are welcome. The Greek side might even provide the weapons, so you won't need to bring your own. The cultural side of thing also won't be forgotten. I'd like to have the final list by the next week, so you still haven't put your name down get in touch asap! The in house Three of a Kind tournament which took place back in December turned out to be a great success with foils, epees and sabres effortlessly uniting for the common purpose. The turnout was good, the teams strong and supportive and after many thunderous fights the victory went to the Triceratops. 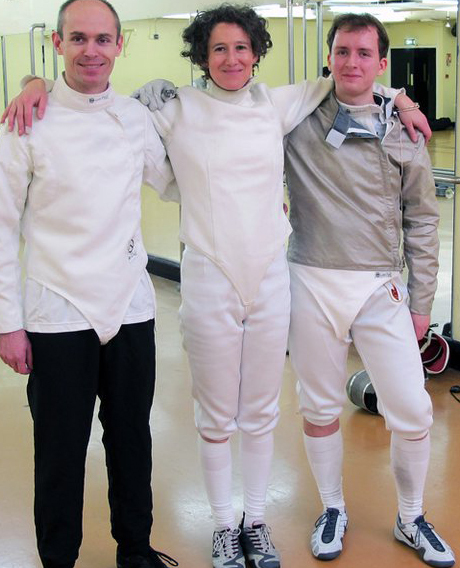 Recently our fencers welcomed visitors from Streatham fencing club. The team tournament that followed was won by the friendly hosts with the basketball sounding score of 80:76 (or something like that). Get yourself a new body wire! 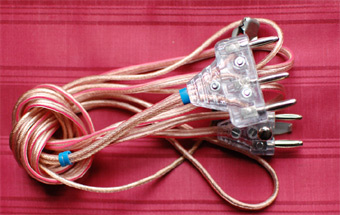 We have some excellent body wires for sale in case you're interested. 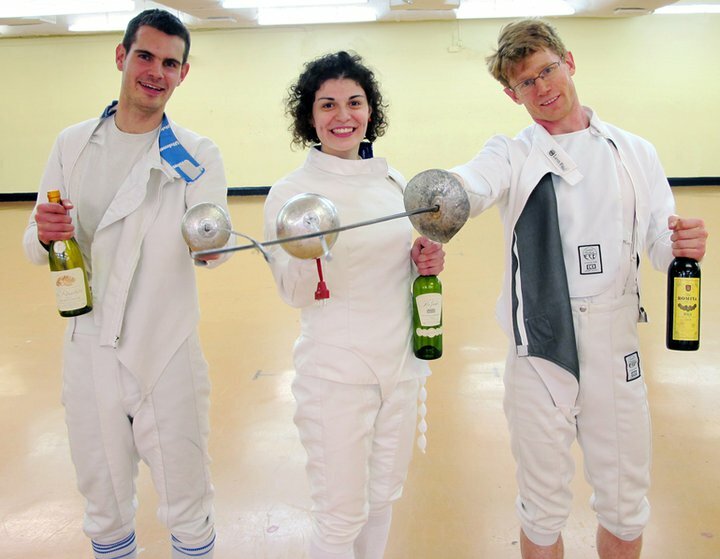 All kinds: epee, foil, sabre, bayonet and continental are available at a mere £12. Those body wires feature transparent iinsulation and spring pins making them better plugging, longer lasting, fault preventing and in general ego pleasing collector items. Members who attend Monday foil sessions are Finsbury centre have already met Rebecka Andersson who assists Laurent with the class. Rebecka trained intensively in Sweden and continues to do so here combining this with the university studies. From the next week Rebecka will be available for individual lessons on Mondays from 8 pm to 9.40 pm. She coaches intermediate level foil and sabre. There will be reduced rate for the lessons booked in March: only £10 for 20 min lesson, so do not forget to book your lesson soon! More than 30 new members have just joined the Club after completing the January round of the beginners' courses! Our warm welcome to all! I hope you'll enjoy the lessons as well as the social side of the club. If you need help or have a question, please do not hesitate to ask: your fellow fencers in the class and of course our coaches will be happy to assist! I list below some of the frequently asked question - and the answers.